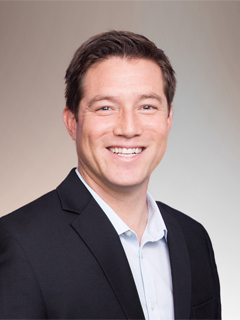 Scott Adams is the Windward Director of BHGRE Advantage Realty and leads a full-service team that specializes in residential sales on Oahu. Regardless of the budget, his goal is to make your move as easy and profitable as possible, and with the utmost confidentiality. Their extensive resources, proven marketing methods, and proactive management of escrows are an invaluable asset whether you are buying or selling. With over 15 years of real estate experience, strong local ties, and the backing of a trusted brand, you can be confident that your goals are in good hands. Oahu-wide Sales of Residential & Investment Properties with emphasis in Kailua, Kaneohe, & East Honolulu. Seoul American High School, Seoul, Korea. Kaiserslautern American High School, Kaiserslautern, Germany. University of Colorado, Boulder, Colorado. Bachelor's of Science degree in Electrical & Computer Engineering, Minor in Biomedical Engineering. Eagle Scout, Boy Scouts of America. Lived abroad in Europe and Asia. Over 15 Years of independent sales experience. Managed the building and remodeling of numerous properties since 2000. Residential and Investment Property Sales since 2005. Best Real Estate Agencies, Star Advertiser 2008-17 (10 years). Best Real Estate Agency, Honolulu Magazine 2012-13, 15-17 (5 years). Top 100 Realtors on Oahu, Honolulu Board of Realtors 2007-16 (10 years). Top Realtors in Hawaii, Hawaii Business Magazine 2010-11, 14-17 (6 years). Best in Real Estate, Honolulu Magazine, 2013-17 (5 years). Emerald Elite (Top 2% Nationwide), Better Homes and Gardens Real Estate, 2014-16 (3 years). Legend Award (Nationwide), Prudential Real Estate, 2013. Chairman's Circle Platinum (Top 1% Nationwide), Prudential Real Estate, 2013. Chairman's Circle Gold (Top 2% Nationwide), Prudential Real Estate 2008-10, 12 (4 years). President's Circle (Top 4% Nationwide), Prudential Real Estate 2011. Leading Edge Society (Top 7% Nationwide), Prudential Real Estate 2006-07 (2 years).